Security, as well as social cohesion and trust need to be built at the city level, with a bottom-up approach. This was one of the conclusions reached at the first meeting of the Technical Working Group on the Confluence of Urban Safety and Peacebuilding Practice, organized by The United Nations Office at Geneva (UNOG), UN-Habitat’s Safer Cities Programme (SCP) and the Geneva Peacebuilding Platform in cooperation with municipality of Corregidora, Mexico. This was an opportunity for our researcher Agnese Macaluso to unveil The Hague Institute’s latest project “City Responsibility: The Role of Municipalities in Conflict Prevention”. Agnese’s contribution to the expert meeting centered on defining alternative dispute resolutions and architectures for peace at the city level. While discussing the objectives and research areas explored by the project, she stressed the need to “identify and understand the drivers of violence and the root social, cultural and economic causes that bring about tensions and eventually lead to crime and conflict.” Building identity and social cohesion, preventing radicalization and fostering vertical and horizontal cooperation are some of the challenges that mayors and municipal officials are called to face and which The Hague Institute’s project will seek to address. In order to devise an integrated approach to urban safety and peacebuilding which could be successfully implemented by cities worldwide, researchers, policymakers, civil society representatives and academics gathered in Mexico at the invitation of the Mayor of Corregidora. Mexico, similarly to other countries, has been facing severe security challenges and still deals with a high crime rate especially in urban areas. In this context, the municipality of Corregidora can be considered as a laboratory of good practices, and offered a stimulating setting for a discussion zooming in on economic and social violence, as well as on transitional justice in relation to urban safety and security. 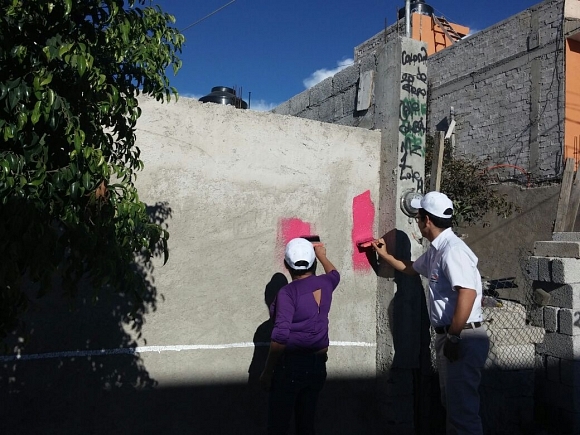 With field visits to some of the urban areas revitalized by the current administration, the technical group took advantage of the opportunity to add a practical dimension to the talks. As a result of the filed visits, the experts formulated concrete recommendations for the municipality of Corregidora, mainly encouraging the current administration to invest in the sustainability of these initiatives and foster cooperation with other municipalities in the metropolitan area and at federal level. Examples from the several case studies presented backed up the recognition that economic development, prevention and sustainability are closely linked. One of the main challenges, which surfaced during the conversations with the Corregidora staff, was the issue of political rotation. Different administrations follow different priorities, so how can we ensure continuity and credibility? Certainly, involving and empowering local communities and the civil society, fostering integration and consolidating local identity are important steps in this direction. Another angle on the urban safety discussion emerged from mentions of innovative methods used in Panama, El Salvador, Mexico and Honduras. In addition to discussing the scope and success of addressing global challenges such as urbanization and climate change, the technical group examined urban programs which focus on establishing dialogue and trust building processes with gangs and other non-state actors were developed in these countries. It is necessary to integrate all relevant actors, including the private sector, schools and even gangs’ members in order to ensure sustainability and ownership of the peace process. Francisco Jimenez, Program Director Security and Justice for the Latin American branch of the UN Initiative Interpeace stressed that “those who are part of the problem need to be part of the solution.” Rather than urban security, we should refer to urban safety, and leave behind the unsuccessful approaches based on mano dura practices and other repressive methods. Although interrupting the cycle of violence is important, to build prevention and long term peace it is crucial to invest in education and work closely with families, youth and all civil society segments in projects such as the Cape Town “Violence Prevention through Urban Upgrading”. This initiative has reached tangible results with a holistic approach bringing together institutions and local communities. This has led to a considerable improvement of services and life conditions in the neighborhoods where it was implemented. The technical group composed of representatives from the International Development Research Centre (IDRC), Interpeace, World Vision, The World Bank, the United Nations Office on Drugs and Crime among others agreed on the importance of an inclusive dialogue in order to devise a renewed peacebuilding strategy. This has to be integrated in a global safety plan if it is to reach any significant results. it is crucial that positive experiences as the one from Corregidora are replicated, not only in Mexico but worldwide. Sharing best practices, transferring knowledge and improving coordination mechanisms between municipalities is vital in an interconnected and globalized system. Mayors, civil society organizations, urban planners, private companies and local residents are all important stakeholders and each of them plays a significant role in this process. Cities should learn from each other and share their experiences to avoid the mistakes of the past and build safe, sustainable and integrated living spaces for their citizens.